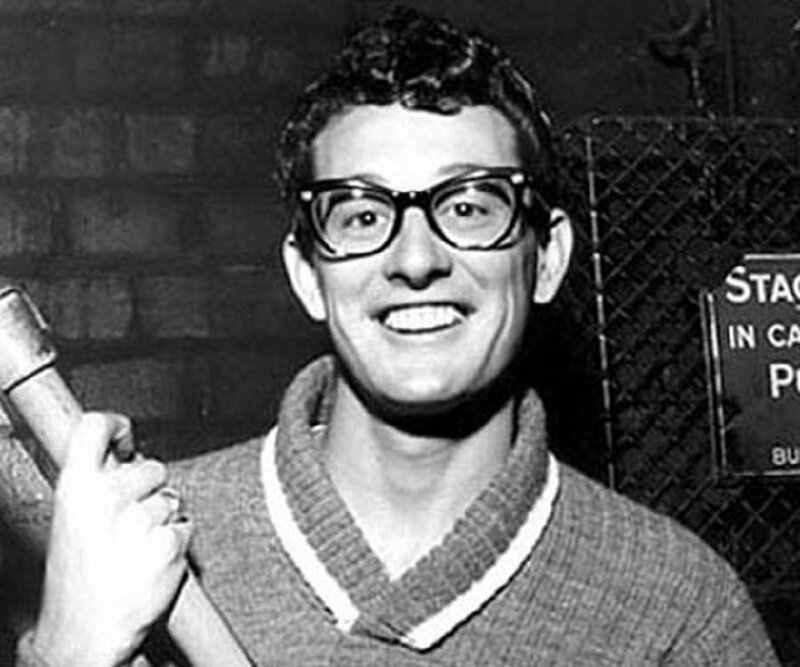 Buddy Holly was one of the most popular American singer-songwriters of his time. Go through this biography to learn more about his profile, childhood, life and timeline. Born in: Lubbock, Texas, U.S.
place of death: Grant Township, Cerro Gordo County, Iowa, U.S. 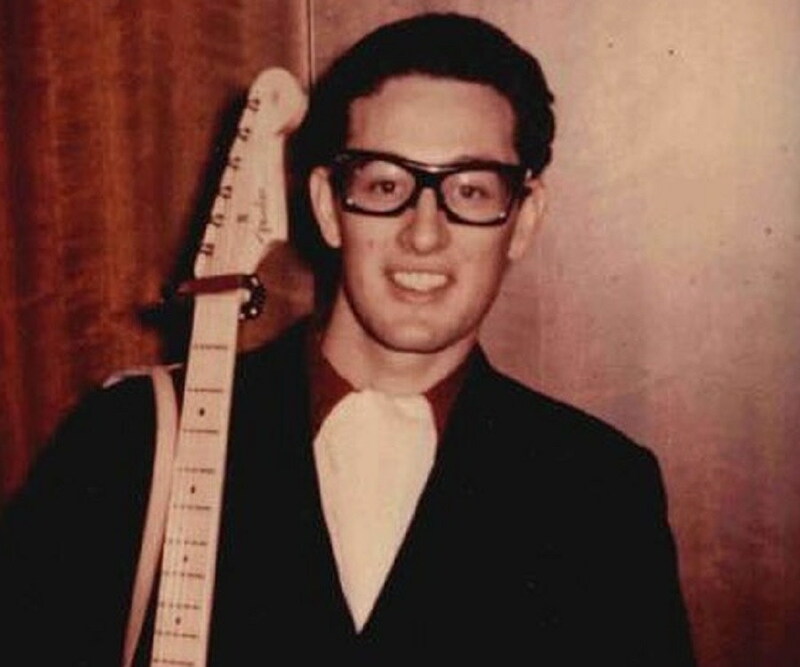 Buddy Holly, born as Charles Hardin Holley, was one of the most influential singer-songwriters of 1950s. His records conveyed a sense of ‘joie de vivre’ and carried South-Western intonations. Although he became popular only a short while before his death, his music had already left an indelible impression in rock and roll music, which was the most popular genre at the time. 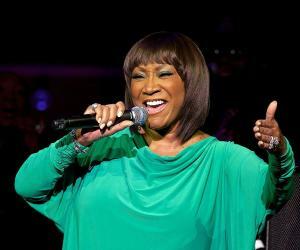 He was well-versed in a number of musical styles and was a seasoned performer by the time of his death. Holly was a continuous innovator, who wrote his own music and was among the first to use unconventional studio methods such as ‘double-tracking’. In his final months, he also began experimenting with orchestration. His wide set of songs includes standards of rock and roll including ‘That’ll Be the Day’, ‘Peggy Sue’ and ‘Maybe Baby’. Music apart, he was known for his signature horn-rimmed glasses and verbal hiccup. He deeply influenced ‘The Beatles’ and ‘Hollies’. Even the Rolling Stones had their first main hit with Holly’s ‘Not Fade Away’. It is believed that he was the largest and one of the first influences on contemporary musicians including Bob Dylan, Eric Clapton, Elvis Costello and Steve Winwood. Charles Hardin Holley was born to Lawrence Odell and Ella Pauline, in Lubbock, Texas. He developed his interest for music when he was in school. He teamed up with his friend Bob Montgomery in 1952 at the Hutchison Junior High School, where they studied and teamed up as the musical duo, ‘Buddy and Bob’. The duo performed for a number of school events and sang harmony duets at local clubs. They became so popular that they were even given a slot at a local radio station for Sunday broadcast. Inspired by Elvis Presley’s rockabilly style, Holly soon began to incorporate this style into his own music. He and his friends—Bob Montgomery and Larry Welborn—were later spotted by a Nashville talent lookout and they began recording tunes under the name ‘Buddy Holly and the Three Tunes’. They officially signed their first record contract with Decca Records and he then went on to form his own rock and roll band called ‘The Crickets’, in 1957. 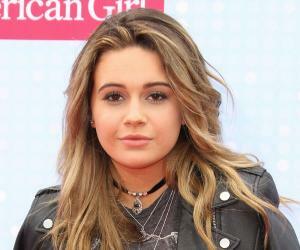 Holly was the lead guitarist and also the vocalist of the band. Among the first tracks that the group recorded was ‘That’ll Be the Day with ‘The Crickets’, in 1957. The song’s title was taken from a phrase that John Wayne frequently used in the film, ‘The Searchers’. In November 1957, the band released their debut album, ‘The ‘Chirping’ Crickets’. Meanwhile, he signed a solo deal with Coral Records as well, thus having two recording contracts at the same time. Till 1958, Holly and ‘The Crickets’ recorded several singles that were featured on a number of famous music charts. He then moved to Greenwich Village, in New York City. 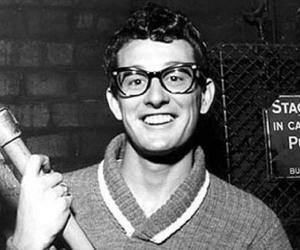 In 1958, he released his solo debut self-titled album, ‘Buddy Holly’. One of the singles from the album, ‘Peggy Sue’ charted in a number of popular countdowns. 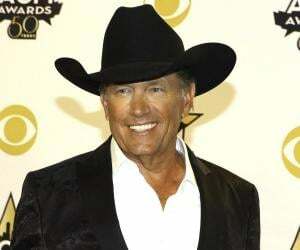 He also released the third album, ‘That’ll Be the Day’, which happened to his last album. Due to legal and monetary problems caused because to the band’s disintegration, he unwillingly decided to tour through the Midwest in 1959 with ‘The Winter Dance Party’. Exhausted from broken-down automobiles in subzero temperatures, he charted a private plane, which crashed shortly after the take off, killing everyone who was on the board. ‘The ‘Chirping’ Crickets’ release in 1957 was the debut album by the band, ‘The Crickets’, led by Buddy Holly. Rolling Stone magazine has listed the album as one of the ‘500 greatest albums of all time’. The album charted the UK Albums Chart at the number 5 position and two of the albums singles ‘That’ll Be the Day’ and ‘Oh Boy’, became instant hits, featuring at the top spot in the ‘Billboard Hot 100’ and the ‘UK Singles Chart’. ‘Buddy Holly’, the self-titled album released in 1958 became extremely popular, because it was recorded one year before Holly’s fatal plane crash. 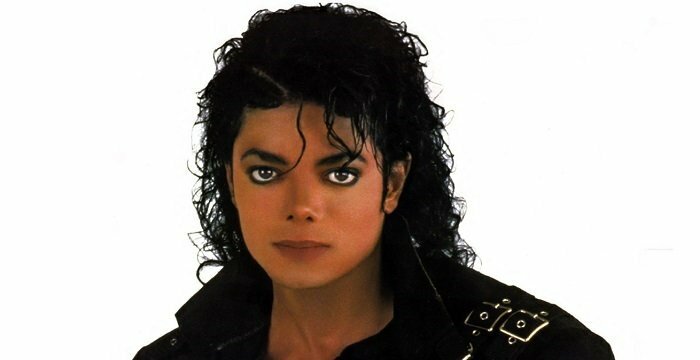 The album also features one of his best singles, ‘Peggy Sue’, which featured at the number 3 position on the prestigious ‘Billboard Pop Singles’. He was inducted into the Songwriters Hall of Fame, in 1986, posthumously. He posthumously received a star on the Hollywood Walk of Fame, on September 7, 2011. In 1958, he met a receptionist, Maria Elena Santiago and became instantly attracted to her. He asked her to have dinner with him at P.J. Clarke’s. He was so smitten by her that he asked her to marry him on their first date itself. The duo got married on August 15, 1958, less than two months after their meeting. Following their marriage, the couple would frequent a number of popular music scenes in New York. It is said that he was also very keen on learning the flamenco guitar. He was so inspired by Eddie Cochran and Elvis Presley that he also decided to take up acting classes at the Lee Strasburg’s Actors Studio, hoping that one day he would get a big break in films. When he charted a private plane to take him to his next tour stop, little did he know that he would be breathing his last. The plane that was also carrying Ritchie Valens, Roger Peterson and Richardson, crashed a short while after take-off, killing all on board. His wife, Elena, was pregnant at the time of the crash. She had a miscarriage soon after hearing the news about his death. Although his music career just took off at the time of his death, he had already set the mood and feel for upcoming rock and roll bands. Through his limited music, he also managed to bridge the ethnic divide in America. He was instrumental in making rock and roll music more accessible for all races across the world. His trademark ‘glasses’ style became such a hit that performers like John Lennon and Hank Marvin adopted it during their performances. Don McLean’s ballad, ‘American Pie’ was based on Holly and the day of his fatal plane crash. The album ‘American Pie’ is also dedicated to Holly. His life and his experiences spawned a Hollywood film titled ‘The Buddy Holly Story’, which released in 1978. Other film and musical depictions include, ‘La Bamba’, ‘Buddy—The Buddy Holly Story’ and ‘The Day the Music Died’. Memorials in his honor include a statue of him at Lubbock’s Walk of fame, a street in his name and ‘The Buddy Holly Center’. 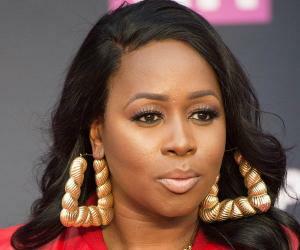 This popular singer-songwriter’s last name was originally spelled ‘Holley’, but was misspelled as ‘Holly’ in his first contract. The name stuck on and never changed.